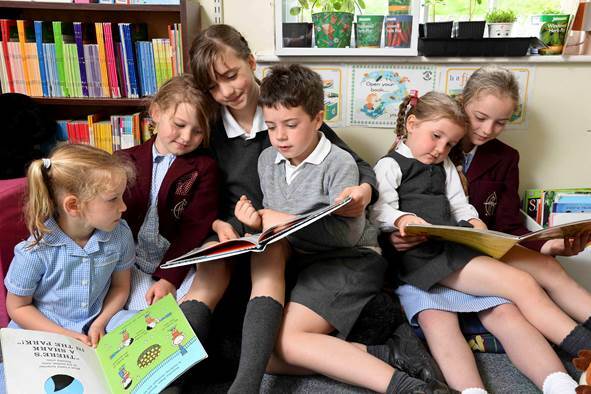 Fyling Hall Junior School is a very close knit community and has very strong links between all staff and pupils. Senior pupils regularly visit the Junior School which helps to build the familial relationships that the school prides itself upon. The classrooms are homely, bright and cheerful. Day pupils are also able to board for the occasional night, and are always welcome. Boarding is often a great adventure for the children, and there is a team of dedicated pastoral staff available around the clock. from climbing and board games to crafts and badminton. Breakfast club is also an option for parents who need it. After-school clubs and breakfast club allow senior and junior pupils to mix, and this helps to build the familial relationships that the school prides itself upon. Weekends can be action packed as well, with opportunities to go swimming, canoeing, and to the cinema. Our daily school buses provide travel from Whitby, Scarborough and the surrounding villages and are met on arrival at school by the head teacher or another member of staff. A second bus also runs at 17:35 to both towns to ferry children who have been taking part in after school activities.